This Fall 2011 semester we will examine the curious development of both Art and an aesthetic for Art in America (i.e., the 13 original colonies and later the United States of America) from colonial times to the present. As we begin this examination, I would like to start off with the following statement by Emile de Antonio in 1972: “One of the big problems of American painting is that it is American.” What are your thoughts on de Antonio’s assertion and do you believe the author is correct or incorrect in his critical assessment? That sounds similar to what several people have told me after moving here: Las Vegas does not have any culture. Things are too easily dismissed when they do not fit narrow definitions. I think that American art’s greatest strength is that it is American. If it can’t be true to itself, how influential and relevant can it be? With a tradition of rapid change and multiculturalism, American art has struggled for a long time to find its identity. When it can find its voice and get over feeling inferior to Europe, things become interesting. It is really hard to slap a label on something like contemporary art. In many survey classes I was surprised to find contemporaries often dismiss things we now consider essential, and elevate things that have not stood the test of time. Emile de Antonio’s quote sounds like something someone would say just to stir up controversy. I don’t believe the the most important question is whether or not Emile de Antonio’s assessment is right or wrong. That can obviously only result in a subjective answer.The more important question would be…”why does Emile believe that to be true?”. I think that Emile along with many others would agree to such an assertion because of the stigma that America has no culture. America in comparison to other western cultures is very young and therefore its history and evolution of art is much shorter. Because of this, many outsiders could assume American art to lack a certain sophistication and simply can’t compare to its countparts of ancient civilization. If this is the persepective of Emile then I would argue that even though American art is a baby in comparison…it is a melting pot of cultures from around the world and that gives American artists even more inspiration to pull from. I believe that Emile de Antonio was very pessimistic towards American art. His opinion can neither be right nor wrong. I think that people are entitled to their own personal opinion and taste; however, I think that many can argue his assessment and say that American art has contributed tremendously towards the growth and development of art. Just like Pollock, who is a major figure in the abstract expressionist movement, many American artists, such as Mark Rothko, Norman Rockwell, Stanton MacDonald-Wright, etc., followed in his footsteps and innovated art in their own unique way. I think that de Antonio’s opinion is his opinion. Everyone is entitled to their own. Do I happen to agree with his opinion, heck no!!! I think he’s an idiot. You can’t judge entire country’s art on that country. You judge a person’s art on their art, not their nationality. American art is still young and it’s still growing. It’s still learning it’s identity. First off we need to really break this down. What is a problem? Its just a issue that has no been solved. This should not lay any negativity to the statement. Its just people have not quite figured out where we stand as of yet (the time of witch we speak). Also we was an American that was involved in the arts. Should he have known better? Most likely yes. I feel his issue can boil down to craft, but this has its won flaws. When we view the works of the Hudson River school, we can see no lack of skill for a better sense, I mean this very loosely. Then when we see pollock we can say there is no skill I can do that but you cant is the real answer. So if he wants to devise this into American look at all the innovations of Europe, from humanism to post-impressionism. It seems to have mimic of the same idea within American art. I was always told nothing new in art just new interpretation. So in conclusion to all this. He uses no critical ideas to compare the dual advancements of countries. Plus he seems just to over look the idea of innovation as a whole. So i will say I can not accede with him, I just do not feel the statement is a as harsh as it seems to read. One more thing I missed. I feel that art is not opine. It has a concept that we can never change. We have to be able to see things with open eyes. We need to objectivity to let it be what it is. If you wish to have critical response to it based on I like purple or to each their you are doing your self a big injustice. After reading the statement then skimming over other people’s reply, I had the same reaction as many others. You cannot really determine whether Antonio is right or wrong because his statement is ulitmately an opinion. However, in my own personal perspective, I do share an understanding to why he might have made this statement. When you think of art, American art is typically not the first to come to mind. Attacking American culture, Antonio is pointing out that American culture has yet to make as an impactful influence on the arts, but this is afterall only my opinion. Emile de Antonio might have implied from the above statement that American Art has no definitive foundation; especially in contrast with its European counterpart. American art was not built from the ground up. There are no masters and scholars that contributed to its birth. His assertions might have been correct at that time being. It is certainly not the case now at this point in time. When I first thought about de Antonio’s comment, I had to agree with him. As I gave more thought to it, I realized that I don’t neccessarily agree with what he said. Maybe the reason that he feels that way is because American art is young. We dont have hundreds or thousands of years of practice compared to other places around the world, nor did we have intense schools that taught artists a specific way of doing things. However, it’s probably better that way. American art has no tried and true tradition of creating work. It’s free and full of expression and feelings which makes it beautiful in its own way. I think Emile de Antonio’s statement is ignorant at best. What does he consider “American” art? Anyone from any country can become an American and create “American” art. Vitaly Komar and Alex Melamid, Russian immigrants, created a painting that was supposed to be the greatest American painting of all time. They created surveys to find out what Americans like most in paintings and they put it all together and came out with a painting of the Hudson River. No one in my art history class enjoyed it, even though it was supposed to be the most “American” painting. American art shouldn’t be classified in such a narrow spectrum, every piece of art should be looked at on its own. Perhaps when he made this comment he was purely thinking of one particular artist he didn’t like, or perhaps didn’t understand. My assumption is Jackson Pollock, but to that I would say every artist is different. 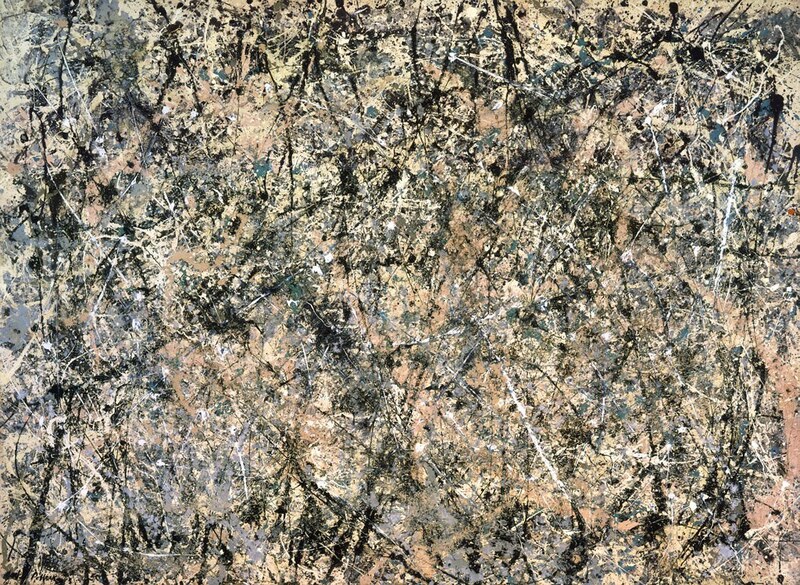 If you don’t like Pollock that doesn’t mean you shouldn’t like all American art. Everyone’s art is different! I find Emile Antonio’s criticism of American art highly negative. I don’t find it correct or incorrect, he is entitled to his own opinion. However, when he says, “One of the big problems of American painting is that it is American”, I believe this statement to mean purely that American art is too young to be of any importance. American art did, and does have many movements that have greatly affected the art world and how we view it; abstract expressionism, pop art, tonalism etc. Antonio perhaps just does not like American art, and that is fine. There are things in art that we will not all love. What is important despite that, is to acknowledge and respect it. After watching the documentary, I definitely think that this quote is taken slightly out of context. I agree with Antonio. I do not believe it was an attack on American art. After watching the movie what i came to understand was that he was saying that American artist have finally created a national art unique to the culture, through abstract expressionism. In the video Barnett Newman said the hopes for his work to transcend “the issue of being American.” To him it was unnecessary to have to label it as such. There is no right or wrong. Just like us people, we are all individuals and the beauty is in the eye of the beholder. Everyone is unique in some way, and yet we all also share many common qualities and features. That can be the same with art. Emile de Antonio has his own thoughts about what he thinks is right to him. Although still young, American art has its own identity. It is a mixture of all cultures combined into one. That video that Amber linked was a great insight to what de Antonio was thinking when he said the quote. To some extent I agree, the term American is so broad that it’s hard to just classify it into one category. We have such a wide variety of culture and backgrounds that there isn’t one distinct style to say it’s American. Yes Abstract Expressionism is primarily done by American artists during that time, we still took root of the movement from other cultures. What I don’t agree with de Antonio about is that it is a ‘problem’. There isn’t anything wrong with not having a single style that screams American. I think it is the fact that there are so many different styles that makes it great and interesting to look at. Having all these different styles only represent us more as what we are, a cultural melting pot. I don’t think there is a problem with American art. I believe that even though we are far behind from European artwork, we have created are own works in our own right, whether it be paintings or sculptures. It goes to show that everybody is entitled to their opinion, making the artworld so fascinating because opinions will always go back and forth in discussing what is great and what is not in art. Therefore leaving artworks to be what you make of it whether you like it or not. After reading a few of the comments and watching the video link of “Painters painting” I believe that Emile was not bashing the arts of America, but simply recognizing that American art since its beginning, taking role in molding a young striving nation made of up many different backgrounds, have become a product of the hypocritical and naive culture that manifested out of that formula. It is his assessment based on the reality of the situation in which early America and the artist who we identify with as American painters has been cast in. But yet as we have moved forward I believe that we have created our own identity through innovations, experimentation, and courage. Now through years of progress, along with social and economic excellence our arts have followed closely. It is only fitting the capital of the art world is now New York. Emile de Antonio does not offer a comparison of a piece of American art to a piece of European art. That statement doesn’t provide enough information to be able to give a counter argument. I believe that “problem” is rather an assurance and approach for American art to creating a sense of self-identity. If American painting is not American, or European painting is not European for instance, it would confront an identity crisis. I assume the statement is criticizing Abstract Expressionism, which is unique to American Art but rather new and insignificant at that period of time. After all, human beings tend to be more comfortable with familiarity (in art) and biased against the opposite. Thanks for sharing that documentary Amber! Before watching that I would have strongly disagreed with his statement but seeing where he was coming from I understand more clearly. I think it’s funny because it is such a broad statement and can offend so many people. Look at everyone who got a little upset just in this blog.. He obviously said that for a reason and he knew he was going to get under peoples skin by saying that. If he was just some guy who knew nothing about this subject it would be one thing but this is coming from someone who’s life has been all about art. I think everyone has the right to their own tastes and preferences. However, I do think that people should judge art before seeing it just because it is of a certain classification, in this case, American. A lot of abstract expressionist art I don’t care for, but I would never dismiss a piece without seeing it or knowing some information about the artist’s inspiration etc. After a person has a well educated perspective and a knowledge of art, then they have the right to dismiss or accept based on their own personal tastes. In my opinion, Emile de Antonio is making a very strong statement when he says this. I think he is entitled to his own opinion so he technically is not wrong. But I do not agree with him. I think that art is amazing no matter where it came from. The artist that created it had an idea in their head and they put together something that ends up being beautiful, impacting, political, abstract, etc. It does not matter whether the person is American or not, they are just expressing themselves in their own way. I think Antonio’s assertion is that America has no history and no tradition and doesn’t deserved to be regarded to in the same esteem as the European countries that have centuries of art development in them. I believe that it is this philosophy and discrimination that can only be a hindrance to the advancement of art and it is this same philosophy that dismisses art from Africa and Asia as well. It is always important to remember that art of all types should be respected and acknowledged and not dismissed because it doesn’t conform to someone’s idealized image of what art should be. All semester I’ve struggled with this thought. I could not write a response to this post until I am forced to do so because of time. All semester I have pushed myself to embrace American aesthetics. Before embarking on this journey, I was not a fan of many major American artists. Then I fell in love with a hand full of American Artists. I have struggled with my identity as an American artist for years. I have always thought that Art from other parts of the world had greater merit. Now I can see the beauty. Now I am not afraid to face my inner struggle to accept my American artistic heritage. Emile de Antonio’s statement rings loud and clear to me. I think she is speaking about the perception from other patrons of the arts, and how America is viewed. It takes guts to support a new American artist. Your average American could give two cents to the Arts. And when they think of Art with value, they instantly think of art from Europe. It takes guts to support a new American artist. Every American patron of the Arts should challenge their own perspective on what is considered high American art. Like I said before, it takes guts to support a new American artist.